Dwarves are a short and stocky race, and stand about a foot shorter than most humans, with wide, compact bodies that account for their burly appearance. Male and female dwarves pride themselves on the long length of their hair, and men often decorate their beards with a variety of clasps and intricate braids. Clean-shavenness on a male dwarf is a sure sign of madness, or worse—no one familiar with their race trusts a beardless dwarven man. Dwarves and orcs have long dwelt in proximity to one another, and share a history of violence as old as both races. Dwarves generally distrust and shun half-orcs. They find elves, gnomes, and halflings to be too frail, flighty, or “pretty” to be worthy of proper respect. It is with humans that dwarves share the strongest link, for humans’ industrious nature and hearty appetites come closest to matching those of the dwarven ideal. Dwarves are driven by honor and tradition. While they are often stereotyped as standoffish, they have a strong sense of friendship and justice, and those who win their trust understand that while they work hard, they play even harder—especially when good ale is involved. Most dwarves are lawful good. Although dwarven adventurers are rare compared to humans, they can be found in most regions of the world. Dwarves often leave the confines of their redoubts to seek glory for their clans, to find wealth with which to enrich the fortress-homes of their birth, or to reclaim fallen dwarven citadels from racial enemies. Dwarven warfare is often characterized by tunnel fighting and melee combat, and as such most dwarves tend toward classes such as fighters and barbarians. Ability Score Increase: Your Constitution score increases by 2. Age: Dwarves mature at the same rate as humans, but they’re considered young until they reach the age of 50. On average, they live about 350 years. Alignment: Most dwarves are lawful, believing firmly in the benefits of a well-ordered society. They tend toward good as well, with a strong sense of fair play and a belief that everyone deserves to share in the benefits of a just order. Size: Dwarves stand between 4 and 5 feet tall and average about 150 pounds. Your size is Medium. Speed: Your base walking speed is 25 feet. Your speed is not reduced by wearing heavy armor. 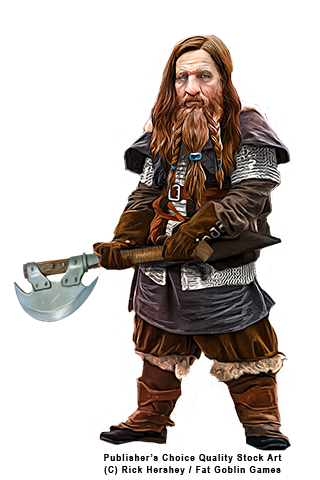 Dwarven Combat Training: You have proficiency with the battleaxe, handaxe, light hammer, and warhammer. Tool Proficiency: You gain proficiency with the artisan’s tools of your choice: smith’s tools, brewer’s supplies, or mason’s tools. Languages: You can speak, read, and write Common and Dwarvish. Dwarvish is full of hard consonants and guttural sounds, and those characteristics spill over into whatever other language a dwarf might speak. As a cloud dwarf, you live in the clouds overhead mining cloud silver. If you dig too deep, the cloud can spring a leak, causing it to rain on the ground below, and potentially taking you with it. Electricity Resilience: You have advantage on saving throws against electricity, and you have resistance against electricity damage. Where typical dwarves mine the depths of the earth for gold and gems, you mine forgotten lore for the wealth of the mind. Thanks to years of living in the library citadels of your homeland, your memory is deep and you are wise beyond your years, even for a dwarf. Historian: You are proficient in the History skill.